This afternoon, the Senate took two votes in different attempts to bring the government shutdown to a close. The first vote was on a package put together by Majority Leader Mitch McConnell (R-KY) to provide the funding requested by President Trump for the southern border wall, and the second was a Continuing Resolution (CR) offered by Minority Leader Chuck Schumer (D-NY). Both votes failed, the first 47-50 votes, and the second 52-44 votes, leaving Congress and the administration no closer to resolving the partial federal government shutdown, now in its 34th day. NWA has meanwhile learned that some WIC participants have begun discussing alternatives to infant formula in the event of a prolonged government shutdown leading to WIC closing its doors. 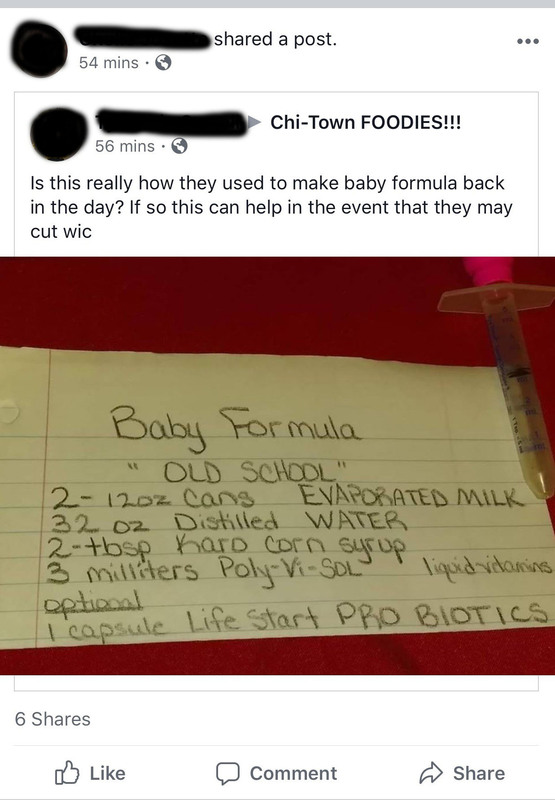 We hope you will join us in getting the word out that infant formula substitutes like cow’s milk, over-diluted formula, or homemade formula mixtures put babies at great risk. These practices can lead to undernourished, anemic babies, and can even result in death. Please remind families that WIC remains open through February, and after that point will make all efforts to continue to serve the most vulnerable populations, including infants. We have shared this message on our Facebook and Twitter and encourage you to share our post with your networks as well. The National WIC Association is reassured to hear from our WIC state agency members that the FNS reallocation process is going smoothly, leaving us more confident that FNS will meet its commitment to keep WIC clinics funded and open through the month of February. If you have any concerns about the ability of your program to remain open and fully operational, please reach out to Brian Dittmeier at bdittmeier@nwica.org. NWA continues to call on Congress and the President to take urgent action to end the government shutdown for the sake of America’s families. You can join us by reaching out to your member of Congress with our action alert here, and via Twitter on February 1, 1-2pm ET as we participate in a Tweetchat about the shutdown and WIC.